Hey, there! 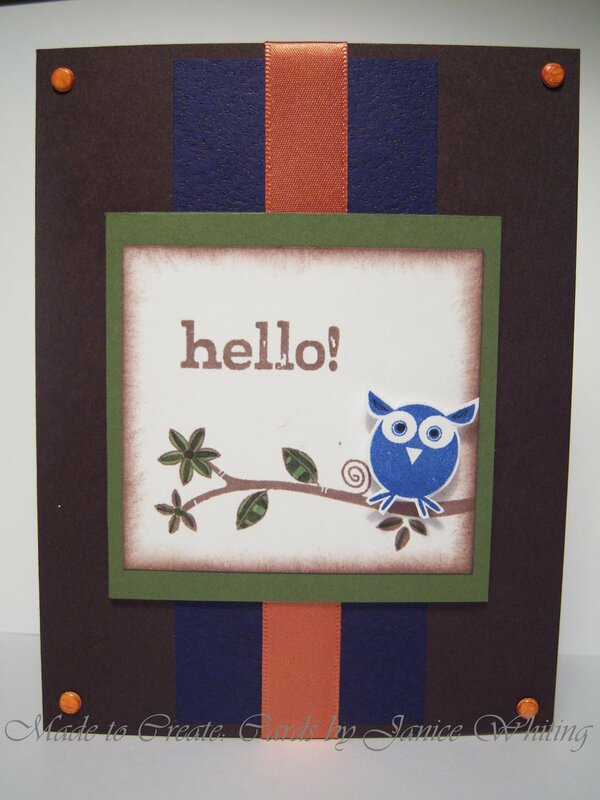 My second card tonight uses Card Pattern' s Sketch 65. I went with a clean and simple look because it seemed to fit well with the sketch. I'm also entering it into StampTV's inspiration challenge which is to make a card that is inspired by summer. I went with what I love about summer through colors. The green and brown remind me of all the hiking and camping I love to do during the summer. The dark blue reminds me of those wonderful summer nights where you just sit outside and breathe in that warm, but fresh summer air. And orange reminds me of the sun, of course!